For the second straight day, a Big Sky team gave up over 90 points to their opponent. And for the second straight day, that spoiled a solid offensive performance. 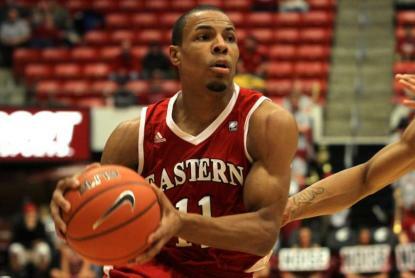 On Sunday, it was Eastern Washington falling 91-76 to Cal State Fullerton. The Eagles were undone by allowing 50 points in the first half to the Titans, who shot 53% from the field. Defensively, EWU is at their best when they are forcing turnovers, and they didn't do that in this game, as Cal State Fullerton only had 13 giveaways. In addition, EWU struggled to stop the Titans inside game, as CSF had 30 points in the paint. Offensively, Collin Chiverton led the team with 26 points, but he had 0 assists, 0 rebounds, and shot just 3/11 from downtown. Cliff Colimon was their best player, with 23 points, 6 rebounds, and 4 assists, as he went the full 40 minutes. Jeffrey Forbes was also in double figures with 12 points. Eastern Washington will take on UCLA on Wednesday.